Johannes Hahn and Michel Lebrun head up this year's Open Days special issue. Lebrun, the president of the Committee of the Regions, warns that, "Over recent years, the convergence among regions has come to a halt and, quite worryingly, we are seeing increased disparities between and inside EU countries." However, he says, Open Days will provide an opportunity to. "exchange views on how to improve the way cohesion policy tools can be better used." Overall, LeBrun continues, "Our aim is to proactively prevent any delay in implementing measures that are of the greatest relevance for our communities." 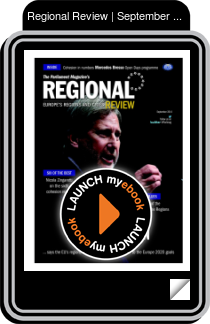 Meanwhile, regional policy commissioner Johannes Hahn says, "To achieve ambitious results in growth and prosperity... it's crucial to ensure that funds are invested in the most efficient way in order to optimise the return."